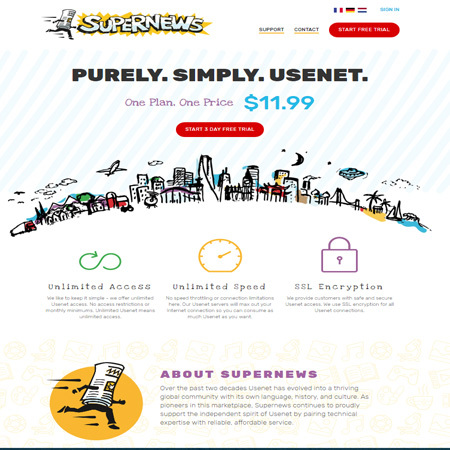 Here is a brief explanation of Usenet Newsgroups. If you know what usenet is, or simply dont care then please skip further down to the next section. Usenet is a system that pre-dates the internet as we know it today. Think of it as a forum/bulletin board. 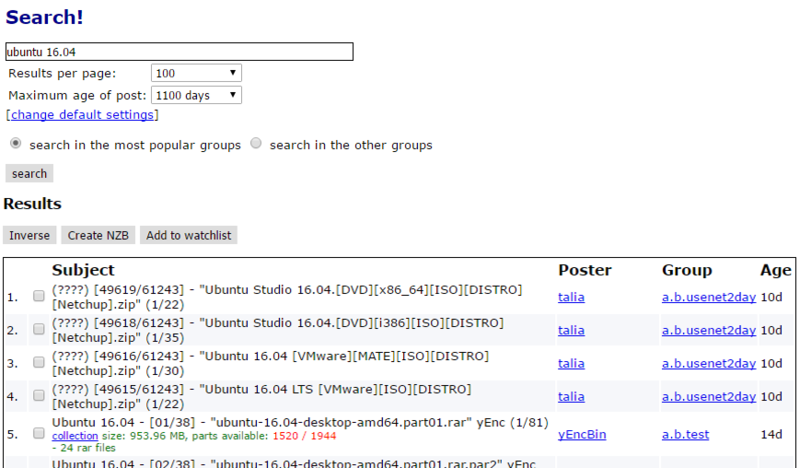 Everything is sorted into groups (text and binaries). Each post then has a header, subject and content. For text this is simple, but binaries (file attachments) its a different story. 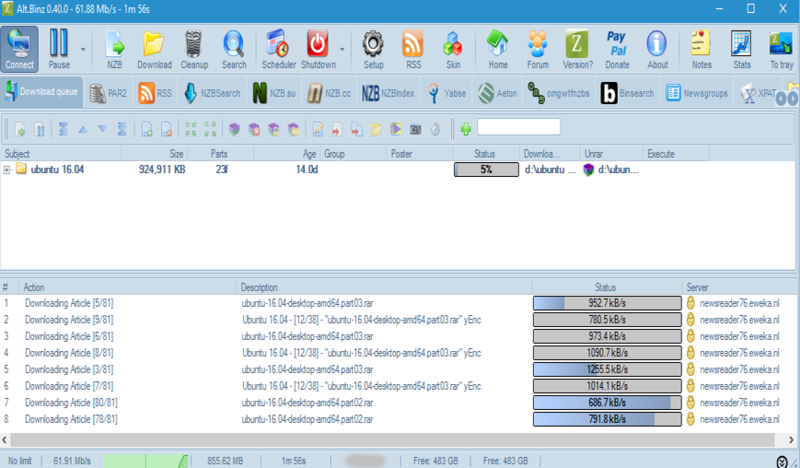 Binary files are uploaded to usenet in 100's of different posts! This is where the NZB format comes in, a NZB file is a simple xml file that sorts all the parts/posts into one simple file. This is then loaded into a newsreader software. Usenet is not a Peer-to-Peer (P2P) filesharing system, the data found on Usenet is stored on Usenet Service Providers datacenters, all this data is duplicated over the entire network and is deleted after a certain time. This is called the File Retention, depending on what provider this can differ from a few hundred days to over 2,800 days! Some articles are subject to DMCA takedown notices to the Usenet Providers, so you will definitely find some data missing on some providers but still there on others. The best Usenet Providers are paid for services, usually only a few dollars per month. You cannot access Usenet without a provider. This is where UsenetCompare.com comes in handy, we list all the details for all the providers out there. 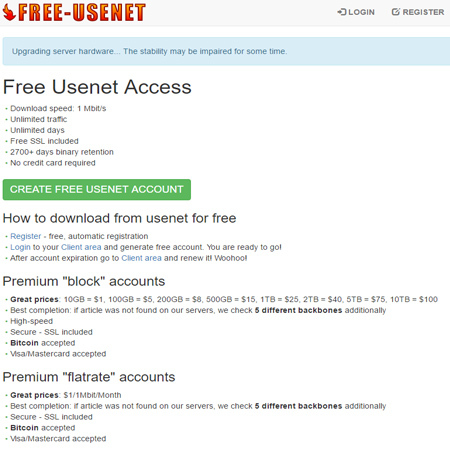 Our suggestion is that you try some of the Free Usenet Accounts that we have on here first, this will give you some idea on retention, completion and speed. 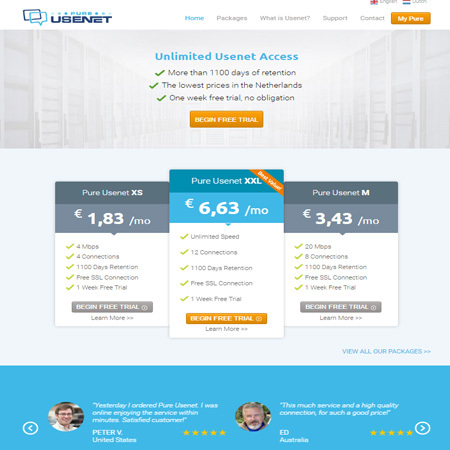 If you want to purchase a server connection there are plenty of Usenet Providers that offer Unlimited bandwidth for a very small fee, or if your not looking to use it much and dont want to get tied to a monthly deal then there are Usenet Block Accounts available where you can pre-pay for bandwidth that does not have a time expiry. Our recommended deal at the moment is from Newshosting and their 1 year ($8.33/m) or $9.99/Month deals. Or simply use our Usenet Provider Search tool and find the best deal for you. Choosing your newsreader can be simple, as many providers will offer you a FREE newsreader application. However there are lots of alternative newsreaders to choose from depending on what you're looking to get from usenet. There are some applications that offer many advanced features, like automated downloading etc. A good selection of advanced software are: CouchPotato, SickBeard and SABnzbd. Our favourite Newsreader is Alt.Binz, this is available for free from their website. There is also a paid version that is more updated and has loads of additional features, but we feel the free edition is satisfactory for most users. This is what we will use for all out guides and tutorials. Setting up your newsreader software will differ depending on what one you chose. 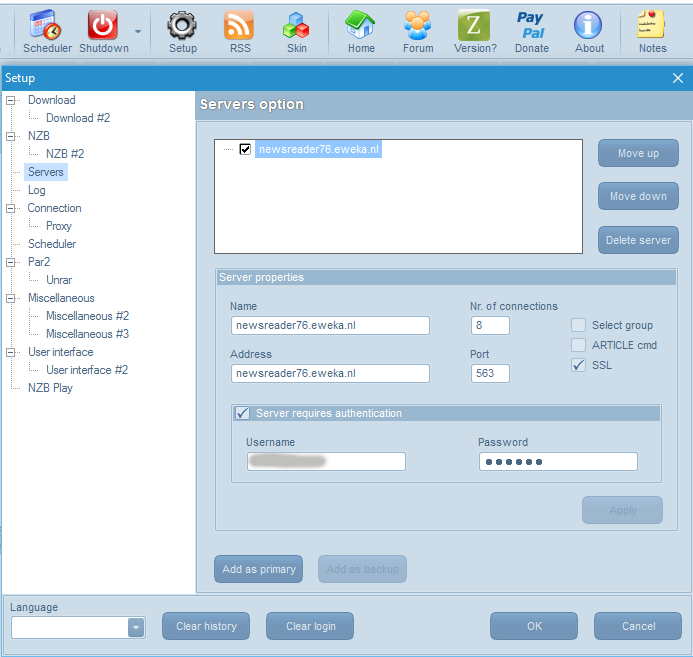 Once you have signed up with a Usenet Provider they will email you the access details, this will include a "user name", "password" and the details of the server (address, port and number of connections). If you are using Alt.binz then the place to input this can be found under the SETUP button, then Servers. You will also want to associate .nzb files with your reader, with Alt.bins this can be found under the NZB setting, tick the "Register NZB Extension"
Simply tick the files you want, and click the CREATE NZB button. All going well the .nzb file will download and your newsreader will open and download it. You may need to click connect on your reader. Now that you have taken the simple first steps into Usenet then its worth looking further into what else can be done. There are also many third party applications for automating the downloading process, unattended downloading, NAS applications and many many more. We hope you have found our "getting started" article interesting and helpful.